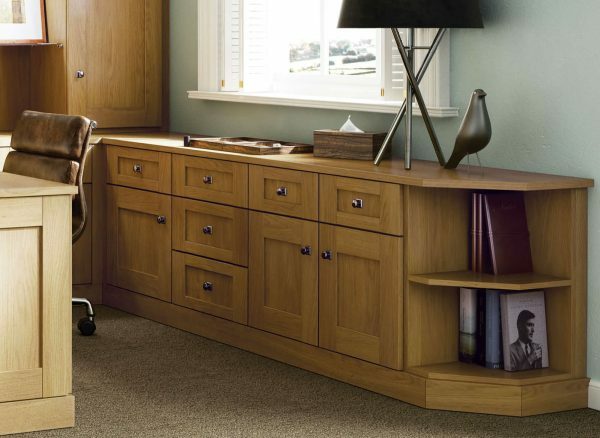 Discover a space that’s clean, uncluttered and understated in your English Oak Verona home office. The blend of classic style and simple design gives way to ingenious storage solutions that deliver a calming work atmosphere. Staying organised is just as important as adding your personality to your professional space. 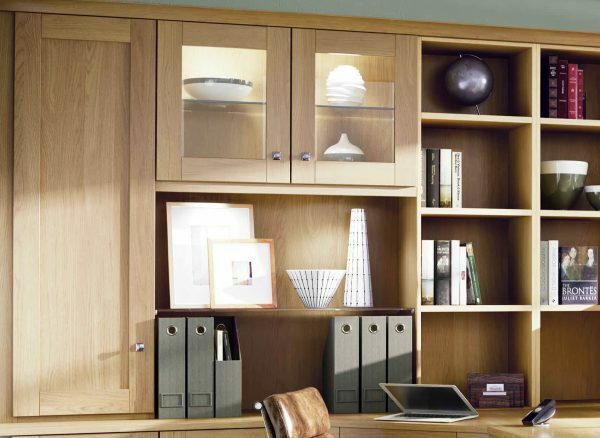 Choose from versatile desk tops, spacious storage units and your choice of finishing touches, such as handles and LED lighting, and let Strachan craft your perfect fitted furniture. 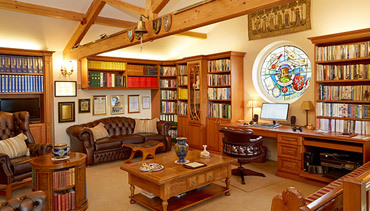 We can create a stylish home office that reflects both your personal tastes and your professional needs. This bespoke Verona suite features a long cabinet fitted against the window wall. Extending from the main unit, it provides drawer, cupboard and shelving storage while effortlessly blending into the style of the room. 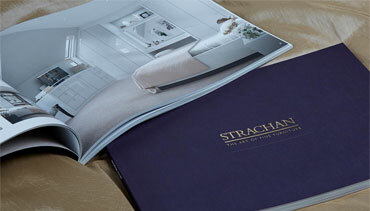 At Strachan, you can personalise your fitted furniture with a choice of designer touches. Glass shelving is an elegant alternative to traditional wood designs and a beautiful way to display your awards, decorative items and treasured possessions. You can also draw attention to them with glamorous LED down lighting. 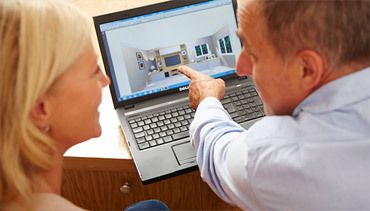 Our expert designers have an unrivalled attention to detail and a commitment to help maximise your space with efficiency and style. We can fit corner cabinets in your home office, with doors that open over the top of low storage units. This means you can enjoy full depth storage and additional fitted furniture, without compromising on floor space.